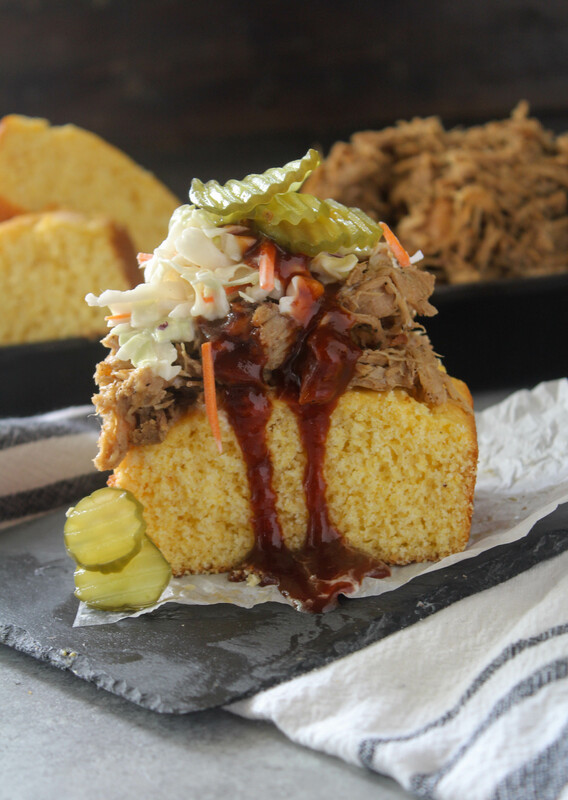 Easy Pulled Pork Cornbread Stack is an easy way to get a lot of flavors in one bite. The sweet of the barbecue sauce helps tie it all together. I know I’ve been offline again but I have a perfectly good reason. About a month ago my mom was rushed to the hospital and ended up staying in ICU/Hospital for a week. This gave me such a fright that I spent just about every moment with her. Thank goodness I have a great boss and she let me take time off to be there for my family. But let me tell you, the six hours to get to her was one of pure panic. And tears. Thank the Lord she is better but I will be keeping a much closer eye on her. I’m pretty sure she’s already tired of my daily calls morning, noon and night. I’ve even threatened to install a camera in the house so I can keep an eye on her and dad all the time. Before her hospital stay we were able to celebrate the kids birthday with a family dinner. The menu came from an Instagram picture I saw of pulled pork on polenta. Once I saw this, I knew I had to recreate that dish for our family celebration. But I wouldn’t be me if I didn’t change it up so I made it on cornbread instead of polenta. The pulled pork was unbelievably delicious and everybody ate every last bite on their plate. I even promised my nephew he would have it the following weekend when he came to my place but then the hospital stay happened. But I have it waiting in the freezer for him. 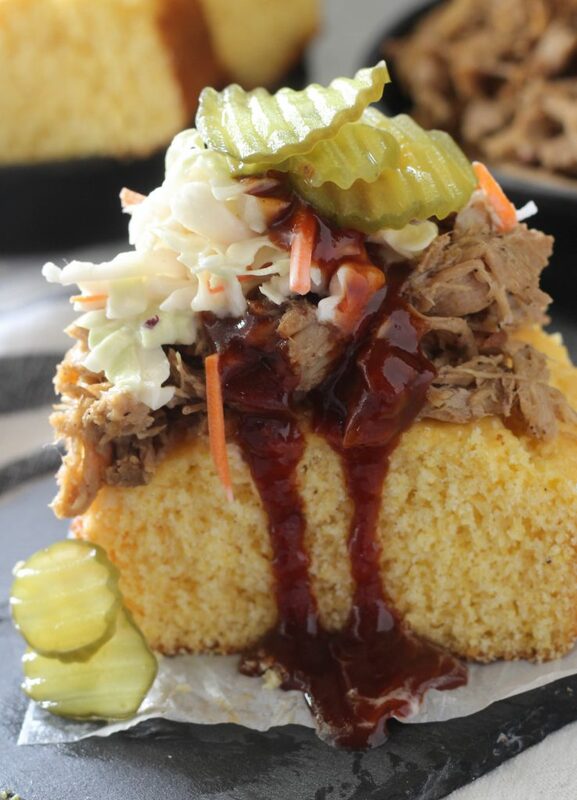 This Easy Pulled Pork Stack couldn’t be any easier. The coleslaw is the Chick-Fil-A Cole Slaw that I’ve posted on here before. 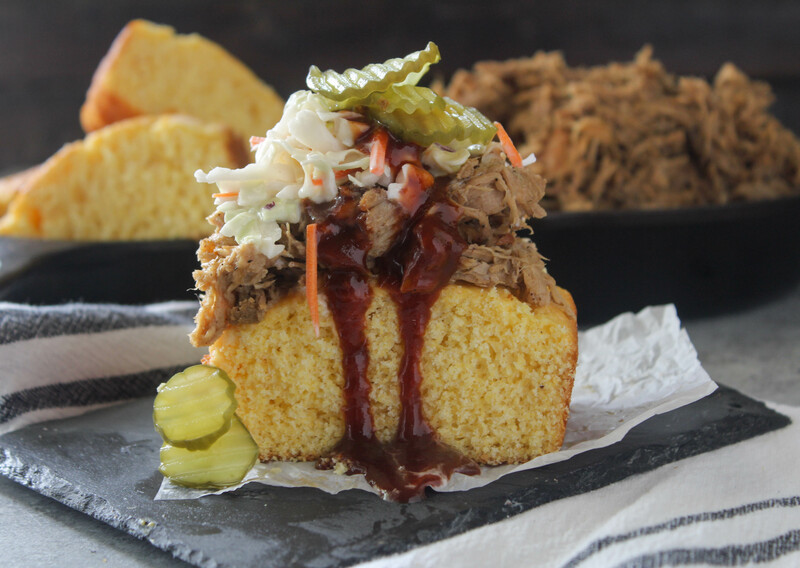 The cornbread is a box mix and the barbecue sauce is bottled sauce. Hey, I keep it simple when I can. 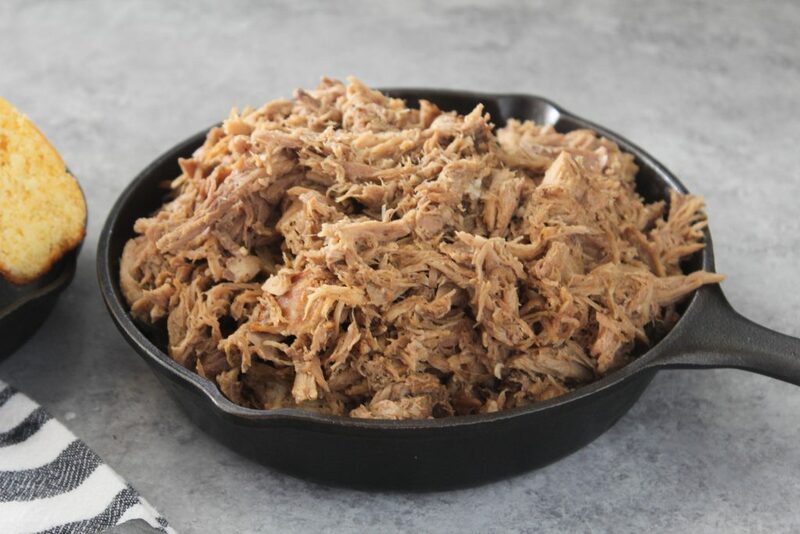 An added plus is the leftover pulled pork can be frozen for when the craving strikes you for another stack. Just add some beef broth when you are reheating it to retain the moistness of the pork. Mix together all ingredients, except roast and water. Rub mix all over roast. Spray electric roasting pan with nonstick cooking spray. Place roast in electric roaster. Add water to roaster then cover with lid. Cook at 300 degrees for 4-6 hours, turning over every hour, until roast is fork tender and roast falls apart. Once roast is tender, cut into big chunks and turn heat to 400 degrees. Sear with lid off for 20 minutes then turn off heat and let rest for 10 mins. Shred meat and mix with remaining juice. 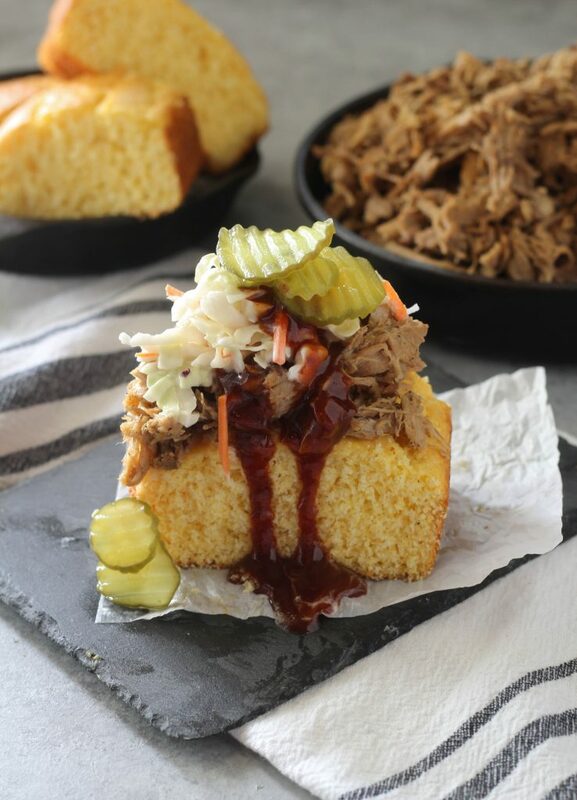 Serve by placing pulled pork on top of cornbread squares, top with cole slaw and pickles. Drizzle with barbecue sauce. Pulled Pork adapted from Tidy Mom. I used an Electric Roaster like this Oster Roaster from Amazon.